Today’s homeowners want low maintenance, quality workmanship, and reliability without sacrificing exterior beauty because first impressions count. That’s why so many homeowners trust Mastic vinyl siding. For over 70 years, Mastic has pioneered complete exterior solutions — offering reliability, craftsmanship, and styles to create dramatic and enticing curb appeal. Whether you’re remodeling or building a brand new home, vinyl siding from Mastic will help you create a look that fits your individual tastes and budget. Mastic’s complete solution combines a wide variety of eye-catching colors and materials. With Mastic siding installed by Peter L. Brown, you’ll get a detailed home design that’s low maintenance. If you are looking to upgrade the appearance of your home, there are few better options than Mastic vinyl siding. The Peter L. Brown Company specializes in CT window replacement and new doors as well as roofing and the installation of seamless vinyl siding, a low-maintenance siding material that is durable and perfect for residential use. 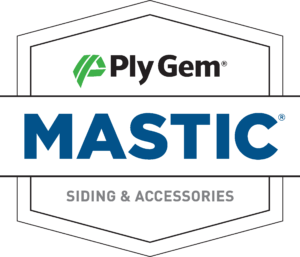 Mastic products come in a wide array of siding and accessories with an abundance of colors, textures, and profiles all designed to work together to make give your home the look you’ve always wanted. When it comes to Peter L. Browns’s installation of Mastic vinyl siding the major difference – and the most obvious – is found when looking at a long, unbroken section of a home’s exterior. Never settle for anything less than the best when it comes to your home’s exterior. At Peter L. Brown we believe in pairing the best products with the best workmanship will always provide the greatest value in the long run. We’re highly experienced with the installation of Mastic seamless vinyl siding and we guarantee that you will be completely satisfied with your choice and our service. Renovating and updating your home is a big step and can be a little nerve-wracking, especially if you’re undertaking major renovations for the first time. Whether you’re looking to add vinyl siding to your home, replace your roof, or update your windows or entryways Peter L. Brown can help you understand the process and come to the decision that transforms your house into your dream home. Peter L. Brown understands the care, work, and value you’ve put into your home and our promise is to deliver that same quality of service and care to all your renovation needs. 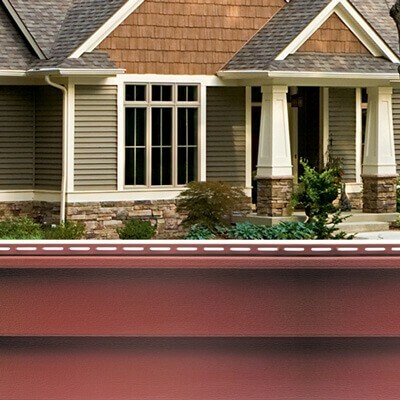 Deciding to add seamless vinyl siding from Mastic is one of the most cost-effective and aesthetically pleasing upgrades you can make to your home. It not only makes your home look great but it provides added value to your home as well. However, there are other siding options aside from seamless vinyl, including shingle siding, which gives your home the appearance of wood or cedar shingles but without the upkeep or weathering that affects many wood shingles. Vinyl siding by Mastic provides other benefits beyond the curb appeal. Vinyl siding from Mastic is weather resistant and won’t fade over time, ensuring that you’ll still have the color you want years from now! Vinyl siding is also very durable and easy to replace should something happen to it. With vinyl siding installed by Peter L. Brown, you can rest assured that your home is in good hands! If you’re thinking about adding vinyl siding just contact us for a free estimate and to see what we can do for you and your home! 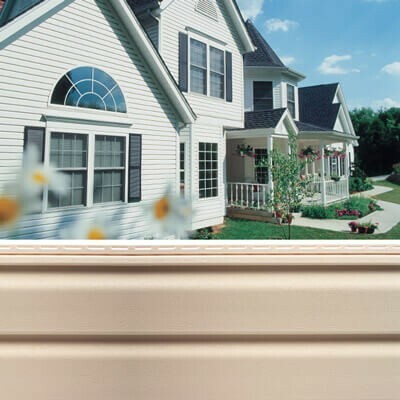 Call or visit us today to see our entire collection of Mastic vinyl siding products and styles.